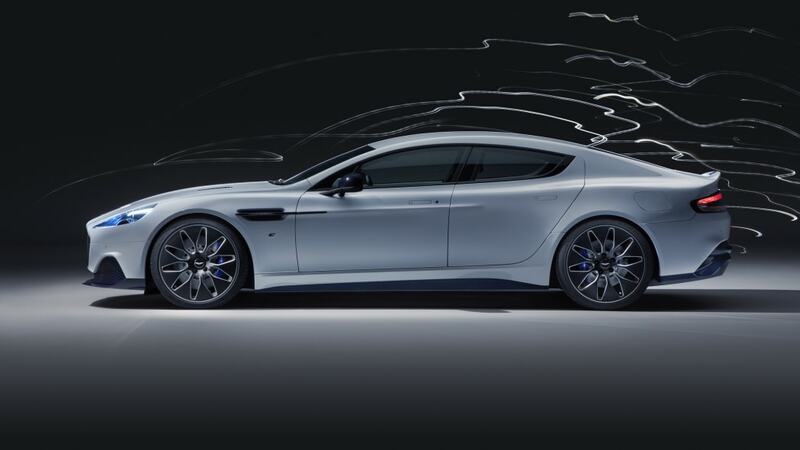 The juice powers the 4,387-pound fastback to a 4.2-second dash to 62 miles per hour. 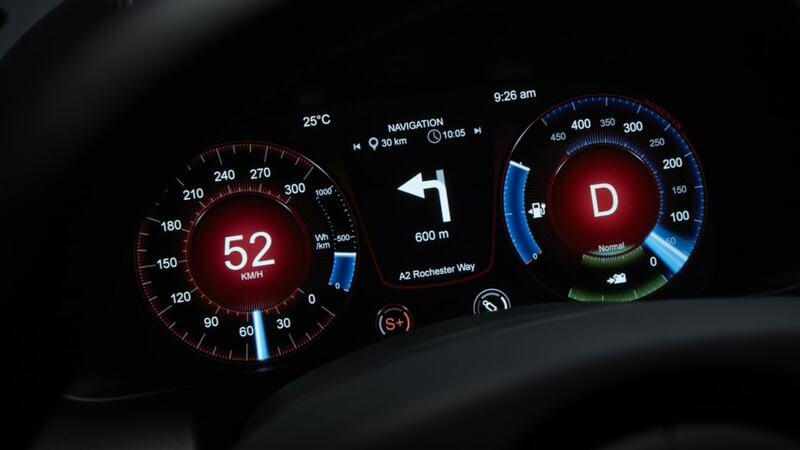 Range is said to be 200 miles on the WLTP cycle, which could mean anywhere from 140 to 180 miles in our numbers. 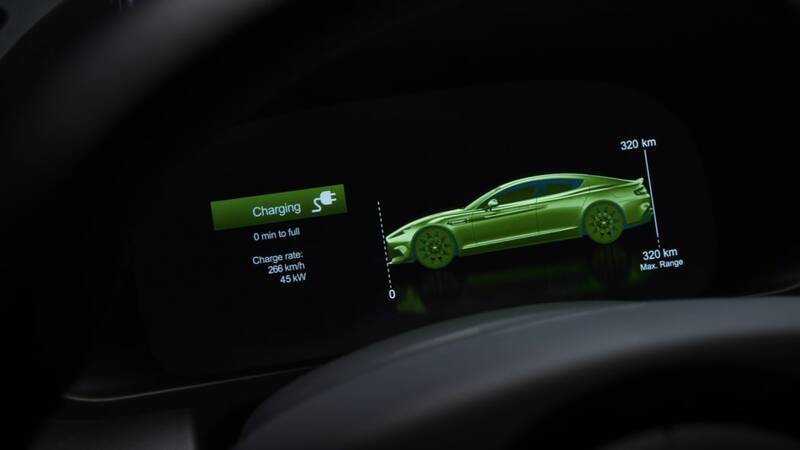 The 800-volt electrical architecture permits charging rates of 300 range-miles per hour when hooked up to the proper outlet delivering 100 kW or more. 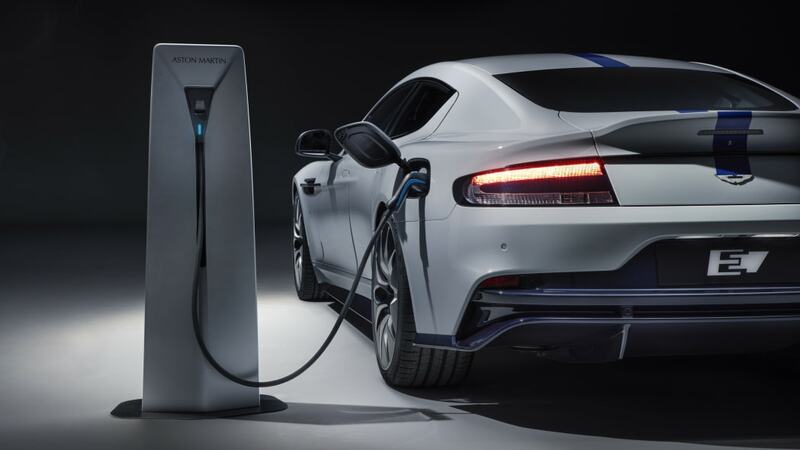 On top of that, since Aston Martin only plans to build 155 examples of the Rapide E at the carmaker's new St. Athans, Wales, facility, the cries about range anxiety should be muted. 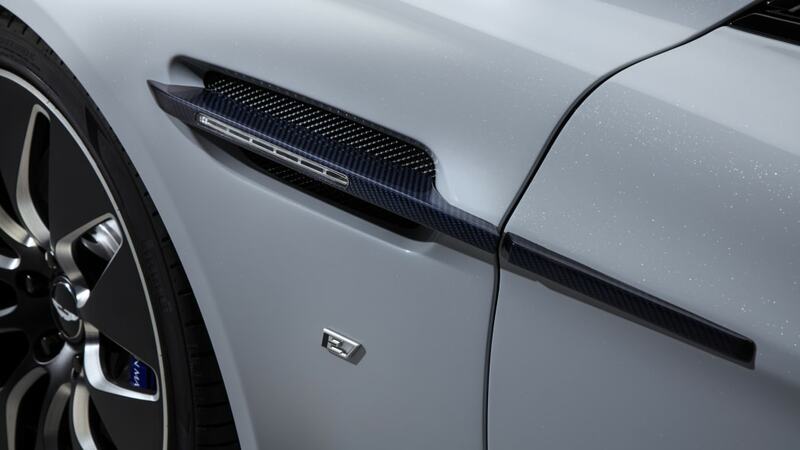 The aluminum and carbon fiber bodywork has been submitted to a regime of aero efficiency and shedding superfluous ICE bits. 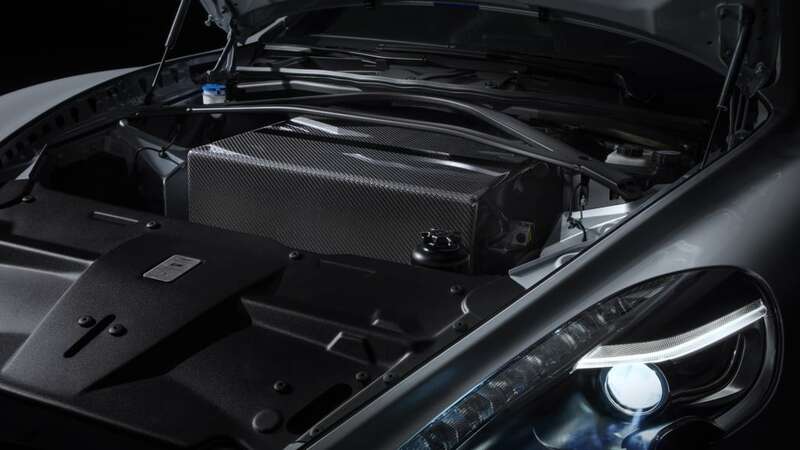 Honeycomb fills the grille aperture and housings formerly used for fog lights, while less air is allowed to flow through the bodywork. A new underfloor hooks up to a larger rear carbon fiber diffuser. 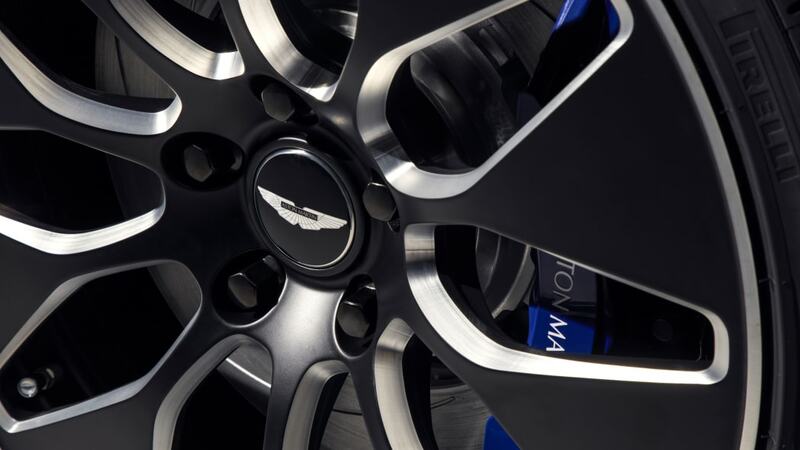 The 21-inch forged aero wheels wear low-rolling resistance Pirelli P Zeros. 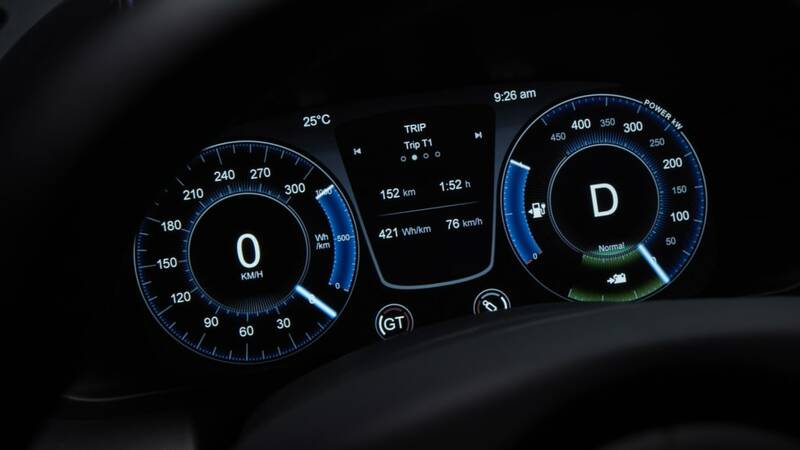 Three driving modes work with an adaptive suspension and limited-slip differential, in an attempt to keep the powertrain swap from eliminating the brand's trademark thrills. 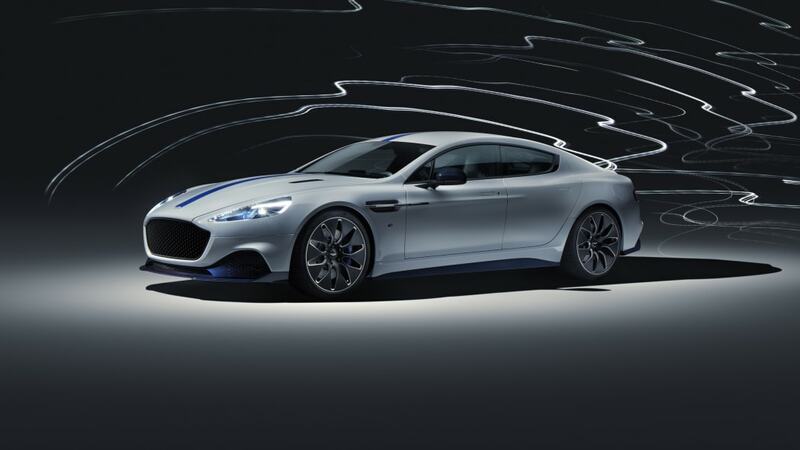 The Rapide E order book is open now, the price only disclosed "on application." 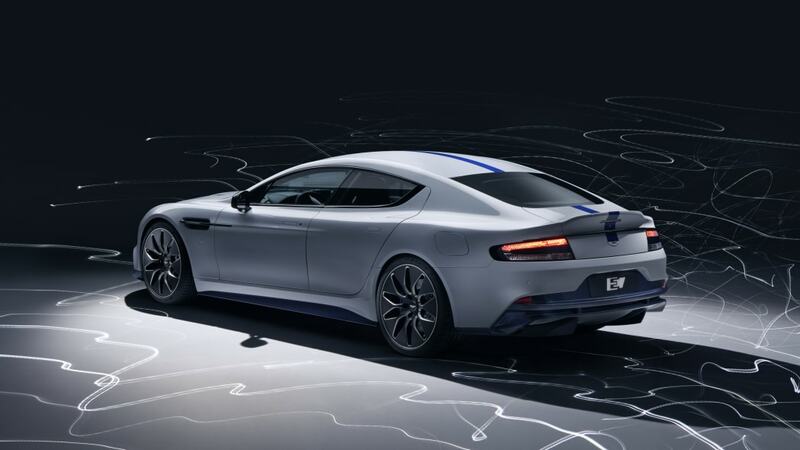 Aston Martin's electric future begins now, and James Bond will be the first person to make the trip there.